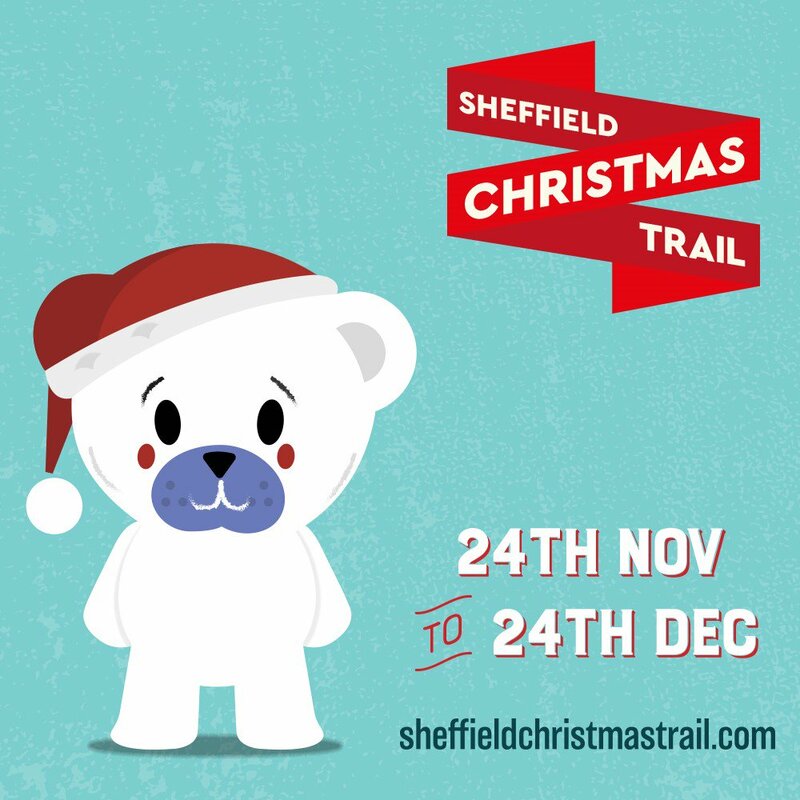 The Sheffield Christmas Trail is the city centre is completely free and a lovely way to explore the city during the festive season. 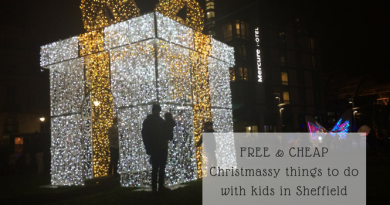 With giant illuminations, lights, the Christmas markets, Santa’s post office (free) and an app, it makes a lovely and free day out. 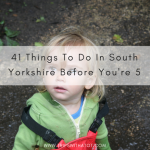 We’ll be doing this one a few times! Take a look inside Sheffield Cathedral – lovely all year round but especially festive during the winter season. And a lovely space to warm up. Free family caroling on December 15th at 11am-2pm. Find some Christmas caroling at the cathedral here. 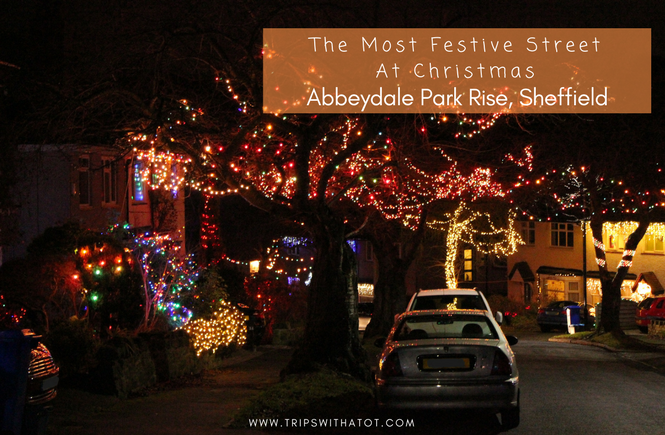 Every year, typically from December 1st, Abbeydale Park Rise is the most christmassy street in Sheffield. It’s a unique experience to walk down a street looking at all the lights and Christmas decorations; a wonderful experience. Families love doing this with their kids who will be so excited to see the street lit up from top to bottom and the residents on the street really go all out with a tremendous effort to turn in into a living winter wonderland. 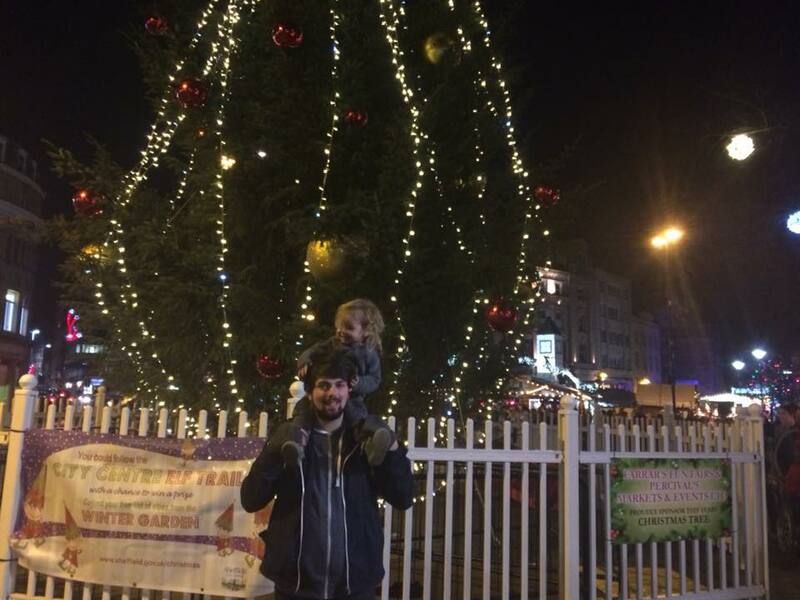 Leopold Square will be transformed into Winter Wonderland on Sunday 18th November and is free. From 12-5pm, they’ll be real reindeer, a snow machine, face painter and local choirs. 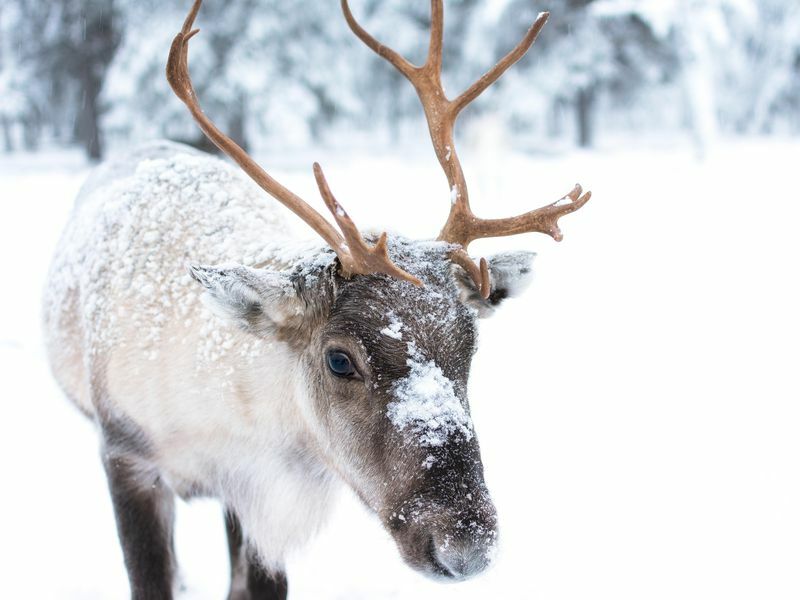 There’s real reindeer (and a whole range of animals) to feed at Mayfield Alpacas Animal Park. 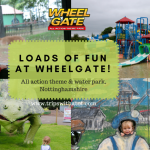 It’s just £3.50 adult to get in and free for under 3’s (or £1.50). Christmas light switch on across the city on Sunday 18th November. Illuminations from 5:30pm, party and Christmas tree on The Moor, rides, choirs, street entertainment, festivities, music and lots more. 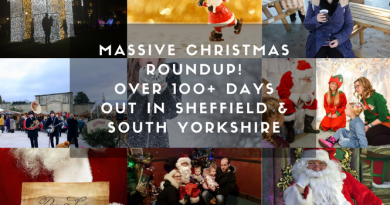 Sheffield Christmas Markets open from 14 Nov 2018 – 24 December daily. Lovely stalls, gifts, festive food and drink, plus the popular Santa’s grotto at the top of Fargate. Get crafty at Weston Park Museum on the 1st December. Christmas: Festive Factory has lots of crafts for your little ones to get stuck in, take home or even give as gifts! Drop in 12-3pm, suggested donation £2. 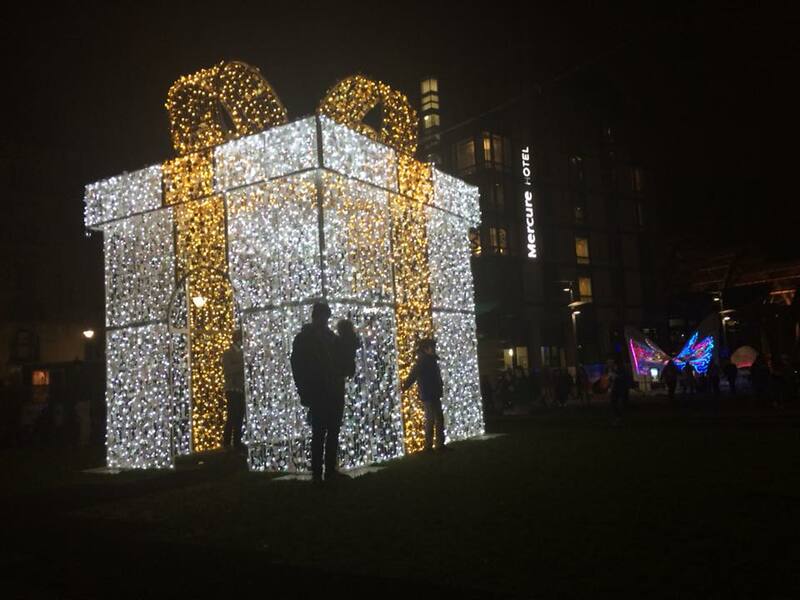 Christmas at Orchard Square – Saturday 15th and 22nd December. 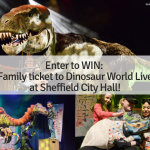 Various things going on including live ice sculpting, free face painting and more. The illuminations in the Peace Gardens are back this year. 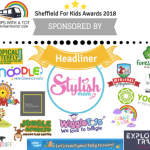 Lovely experience with little ones and fantastic for photos, too, we loved this last year and it’s completely free. Combine with a nice little stroll through the Winter Gardens to see the Christmas decorations, especially when Carolling is on (check here for info). Warm up in Thor’s Tipi in the Peace Gardens. It’s soooo family friendly, I was surprised how welcoming it is for kids last year. It’s just beautiful. Sooo festive, so warm and cosy and a lovely experience. Highly recommend! It’s free to go inside and there’s a bar selling warm and hot drinks, both soft and alcoholic. There is no admission but you will need to purchase a drink; for a couple quid it is definitely worth it, though! Open daily from 22nd November – 31st December. 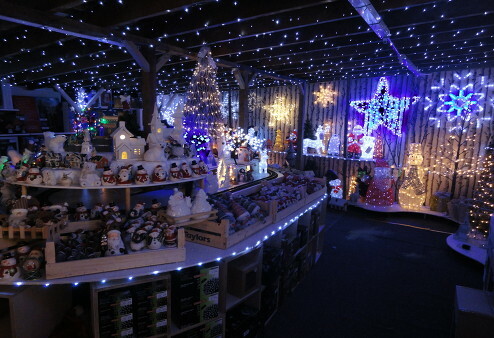 The indoor & outdoor illuminated rooms at Valleyside Garden Centre (near crosspool) look beautiful, as do the decorations, including singing reindeer. It’s free to visit. Check out this messy nativity at Greenhill Methodist Church on 8th December. 1pm-5pm. 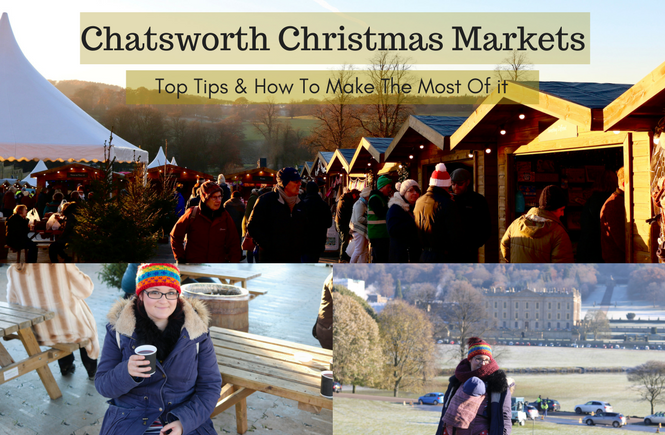 Crafts, balloon modelling, live nativity, songs & much more. Fun for all the family! Have a day out at Storrs Wood at Christmas on December 8th-9th. Lots going on: Seasonal Stories told by local author and Story teller Carmel Page (2-6 both days), Christmas Gifts, Brass Band, Hot Drinks and mince pies, Woodland arts trail and Gallery, Raffle & Children’s treasure hunt. Adults £2, kids £1. There’s a free Christmas grotto at Towsure in Hillsborough again this year on 15th and 16th December. 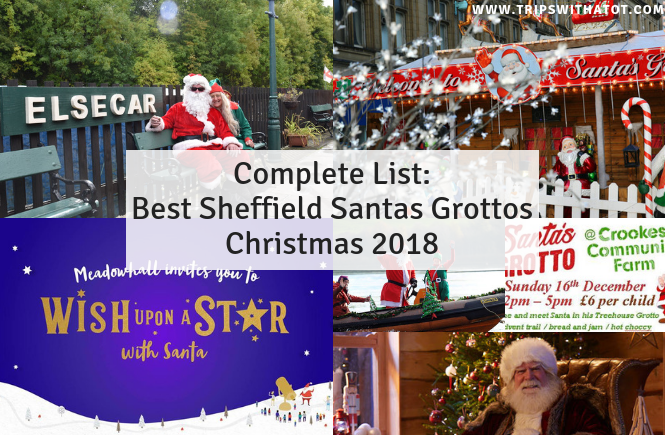 In 2017, the free grotto included a gift for the child under 12 years, plus free mulled wine in the cafe for adults. There is Christmas decorations, free parking and Towsure is next to Malin Bridge tram stop. Choose a real Christmas tree at Sheffield Christmas Tree Company from Saturday 17th November. 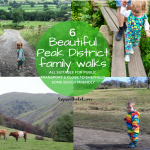 A children’s treasure hunt, Christmas bouncy castle and Christmas Shetland ponies are there for the kids! Plus a log cabin cafe and Christmas goodies gift shop. IKEA Sheffield have a free winter fete on Saturday 1st-Sunday 2nd December, which includes biscuit decorating, interactive games, plate decorating, colouring, and arts and crafts. Free magical reindeer parade in Rotherham town centre, 15th December, 11-3:30pm. Come along meet Father Christmas and his reindeer at this magical free family event. 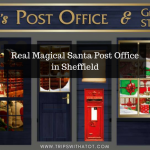 The City of Sheffield Pipe Band will be leading the parade which will set off at 12.45pm travelling around town and entering a viewing area outside Boots where the reindeer will stay until 3pm. 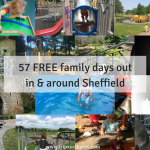 It’s free to visit the Christmas farm at Woolley Edge Christmas Tree Farm in Wakefield, WF4 2LQ. Watch Santa feed his reindeer at 10am prompt on weekends from 24th November. In additional, there’s a genuine Scandinavian sleigh decorated for families to sit in and have a photo taken for free on your phone/cameras. 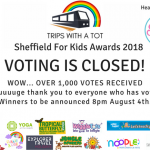 There is no charge for this and a charity donation box is provided. 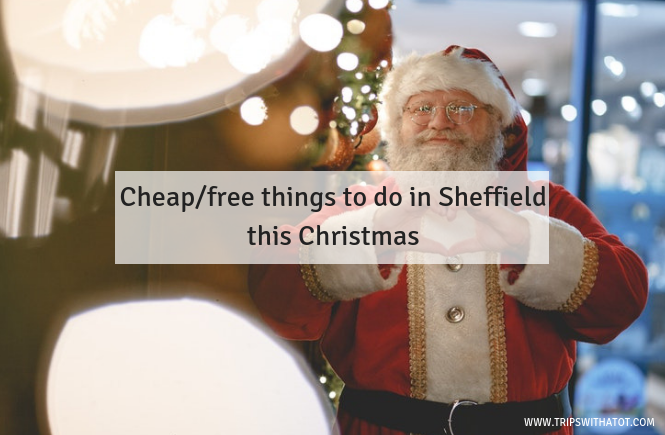 Keep checking back as this post will be updated throughout the Christmas season with even more cheap/free things to do in Sheffield this Christmas! 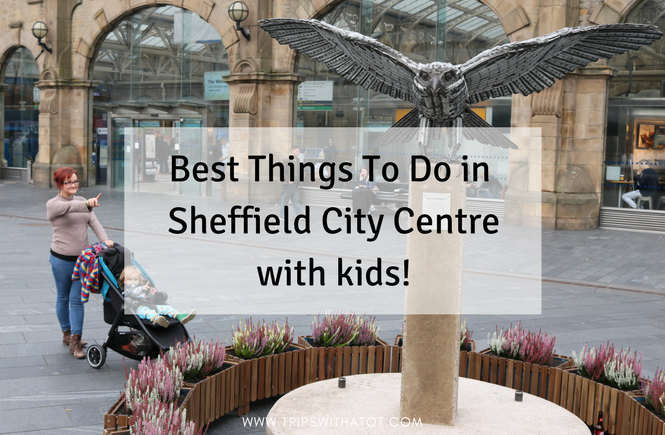 ← Best Things To Do In Sheffield City Centre with kids!